Claimed to be a 'driver's SUV'. 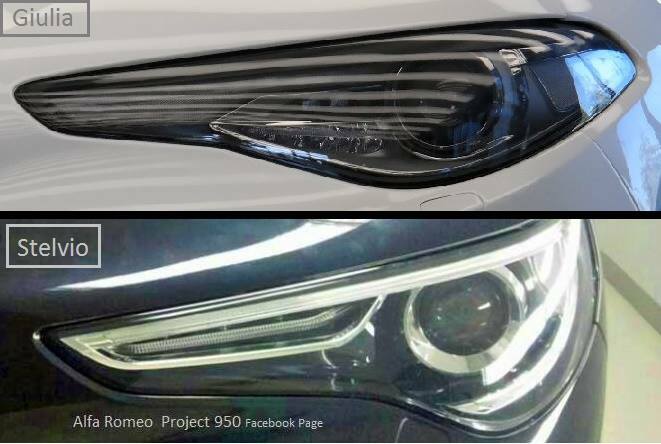 A Facebook page called the Alfa Romeo Project 950 has posted an image of an Alfa Romeo Stelvio's headlamp, giving a look at the detailing. 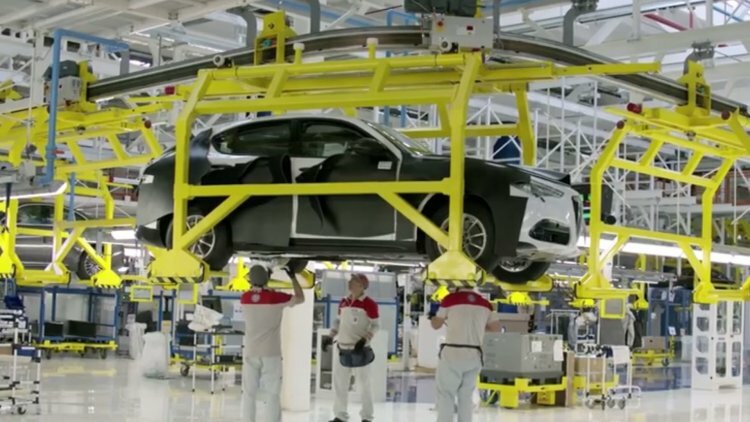 The Stelvio is reported to make its world debut at the 2016 Los Angeles Motor Show next month. The designs are similar, although the interior cluster is different in the Stelvio. It is compared with the Alfa Romeo Giulia, the brand's newest sedan now available for sale. The designs are similar, although the interior cluster is different in the Stelvio. The headlamp integrates projector lenses and a small strip of LED DRLs. Older spyshots revealed that the front fascia of Stelvio will look largely similar to the Giulia as well. The car's overall design is basically what a Giulia would look like if it was an SUV. Alfa Romeo is pitching the Stelvio as a driver's SUV, which is apparent by the name 'Stelvio' - one of the world's best driver's roads. It will rival performance-oriented crossovers like the Porsche Macan, Mercedes GLC Coupe and BMW X4. The design of the Alfa Romero Stelvio is basically what a Giulia would look like if it was an SUV. The engine lineup is likely to be sourced from the Alfa Romeo Giulia, which includes 2.0L petrol and 2.2L diesel engines. The Stelvio will also be available in the Quadrifoglio variant, which is likely to source the 2.9L twin turbo V6 engine from the Giulia.